An all-star tribute to the late gospel artists Andrae Crouch and Walter Hawkins is part of the lineup for the 30th Chicago Gospel Music Festival. 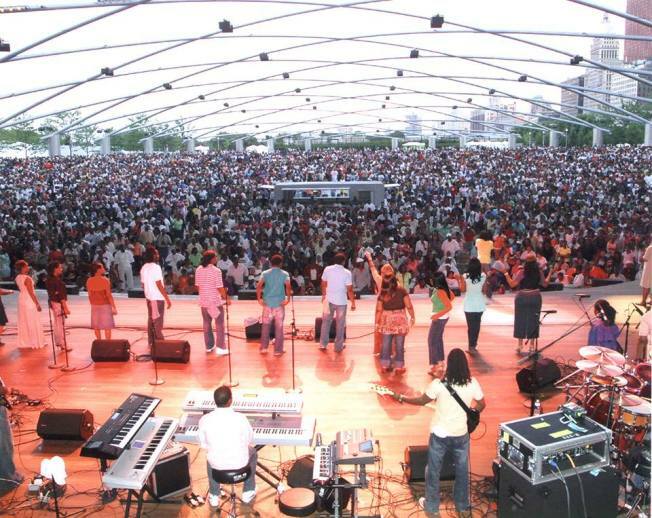 The festival runs from May 29 through 31 in the city's Millennium Park. Other headline acts include Ricky Dillard and New G and Israel Houghton and New Breed. Donald Lawrence and Company will present the tribute to Crouch and Hawkins as the festival's Saturday evening concert. It will feature Vanessa Bell Armstrong, Lisa Page Brooks, Tasha Page Lockhart, Chrystal Rucker, Brian Courtney Wilson and other artists. Andrae Crouch died in January at the age of 72. Walter Hawkins died in 2010 at the age of 61. Both men were Grammy-winning gospel performers. Admission is to the festival is free.